Whether you're looking for a living room that's eclectic, retro, or chic contemporary, this distinctive Mid Century Modern design will set you apart from the crowd. This compact frame features singular Mid Century Modern details like an angular shape and cylindrical tapered wood legs. 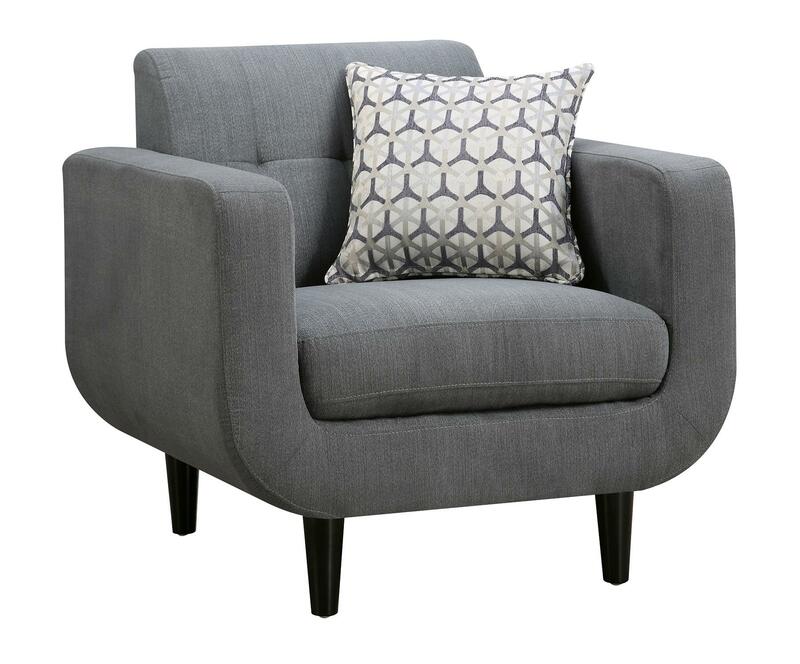 The chair includes one toss pillow in complementing fabrics. The Stansall Mid Century Modern Chair by Coaster at Value City Furniture in the New Jersey, NJ, Staten Island, Hoboken area. Product availability may vary. Contact us for the most current availability on this product. 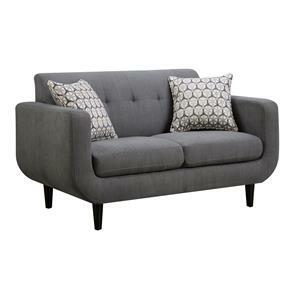 The retro-fabulous Stansall collection is an easy way to break out of a boring decor slump. 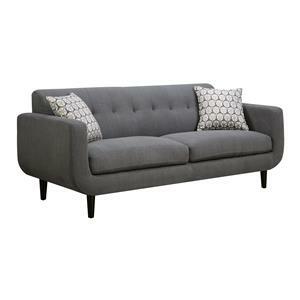 Brimming over with eclectic character and charm, Stansall seating features cozy Mid Century Modern pieces that are small scale enough for apartments or townhouses. The Stansall group is available in two colors of linen-like fabric that form the perfect base for your living room decor. The Stansall collection is a great option if you are looking for Contemporary furniture in the New Jersey, NJ, Staten Island, Hoboken area. 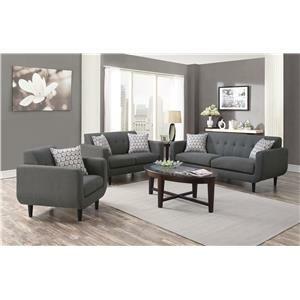 Browse other items in the Stansall collection from Value City Furniture in the New Jersey, NJ, Staten Island, Hoboken area.